What if cars were supermodels? Check out the Mercedes S-Class beauty! Home Lifestyle What if cars were supermodels? Check out the Mercedes S-Class beauty! What if cars were supermodels? How would they look? 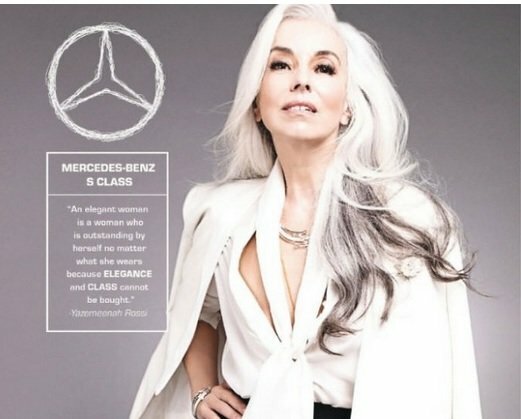 Would the Mercedes-Benz lady be a classy woman? Would the Tesla have the eco look that it’s supposed to? How about the Ferrari? Oh, stop with the questions already! Somebody has thought of it! A few young fashion designers have transferred the personality of cars into women. So this is how the Mercedes-Benz S-Class turned out to be a precious blond woman with exceptional elegance and business style. The main competitors of Mercedes-Benz in the sales race, BMW and Audi, were no inspiration for the creators of the photo gallery. Instead, they dressed a brunette in a red dress that highlights her curves and simply called her – that’s predictable, isn’t it? – Ferrari. The Hummer H1 is a girl who seems to be spending much of her life weight-lifting. She’s wearing a gym suit and – so inappropriate – vinyl combat boots. The car so much loved by the middle class Americans, the Toyota Camry is the girl next door that the man next door would ask for her number. The Rolls-Royce Phantom, a vintage Corvette, the Aston Martin are all there, with their personality – whether muscular or sophisticated – translated into… sugar and spice and everything that’s nice. Check out more cars and the girls representing them right here! How would a four door Maybach Coupe look like?